From the parking lot above the Cliff House at Point Lobos Ave. and Merrie Way, the Coastal Trail winds for 1.3 bracing and beautiful miles and spits you out in the swank Sea Cliff neighborhood. 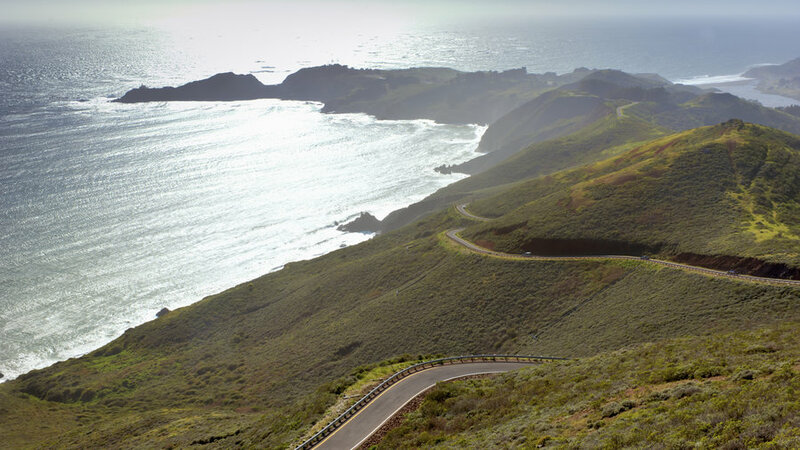 Climbs 1.5 miles (3 miles round trip) from the Rodeo Beach parking lot to the top of Hill 88 for views of Rodeo Beach, Bird Island, and the Farallon Islands. Take the main trail from the fire gate in the parking area. 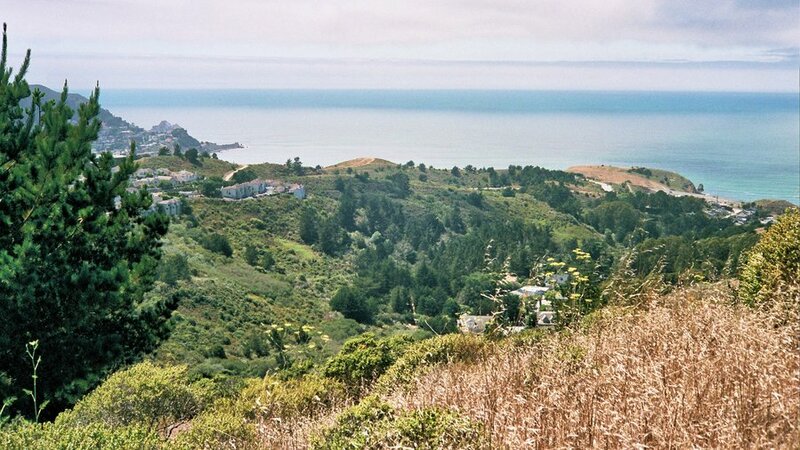 Head up the ridge from Green Gulch Farm Zen Center to link to the Coastal Trail for a loop back to the center with splendid ocean views (about 3 miles). Haypress campground’s five campsites are in Tennessee Valley, just three-quarters of a mile’s walk from the parking lot. No fee. 415/331-1540. 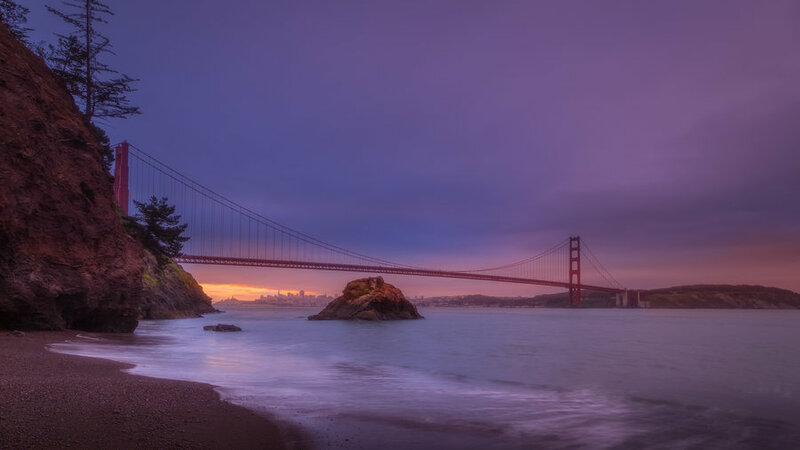 On this 1.75-mile round-trip hike, the descent from the Battery Spencer parking lot leads to Kirby Cove, a pocket beach with a from-below view of the Golden Gate Bridge. The short climb from the Battery Construction 129 tunnels to the top of Hawk Hill offers great views of the Golden Gate Bridge and the opportunity to see hawks Aug–Nov. From gun pit beyond the tunnels, follow signs up the hill. 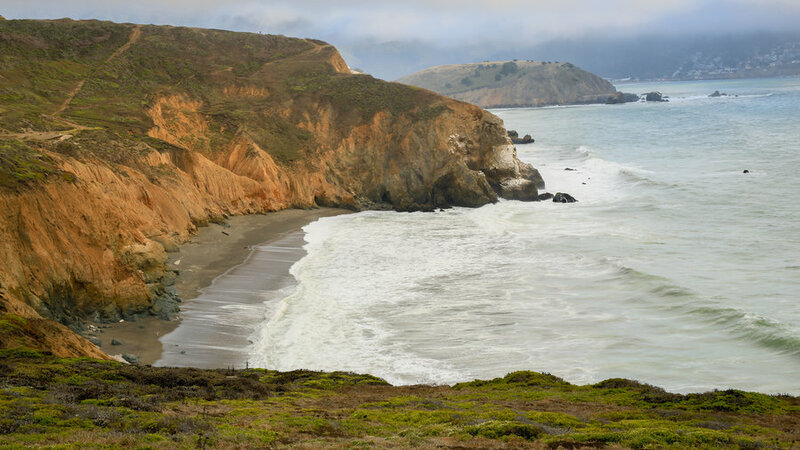 Walk .25 mile south from the Pacifica pier and past the Sharp Park golf course to access trails that crisscross golden, grassy bluffs. End of Beach Blvd. 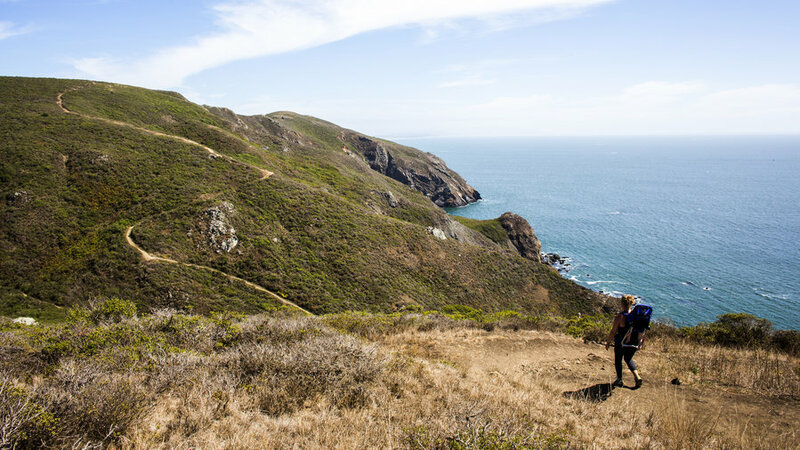 One of the most scenic—and undiscovered—hikes in Marin is accessible from the Muir Beach Overlook. 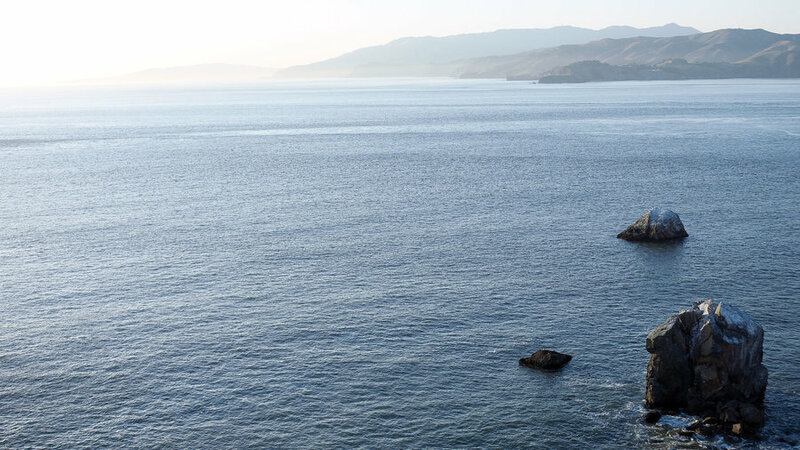 The short, mostly easy path offers panoramic ocean views and a chance to see wildlife. A mile or so in, you’ll come to Slide Ranch, where you can watch goats and chickens roam the barnyard. Continue another .75 mile (the last stretch is steep) to the ocean and a secluded beach. Trailhead is at Muir Beach Overlook on Highway 1 in Marin. 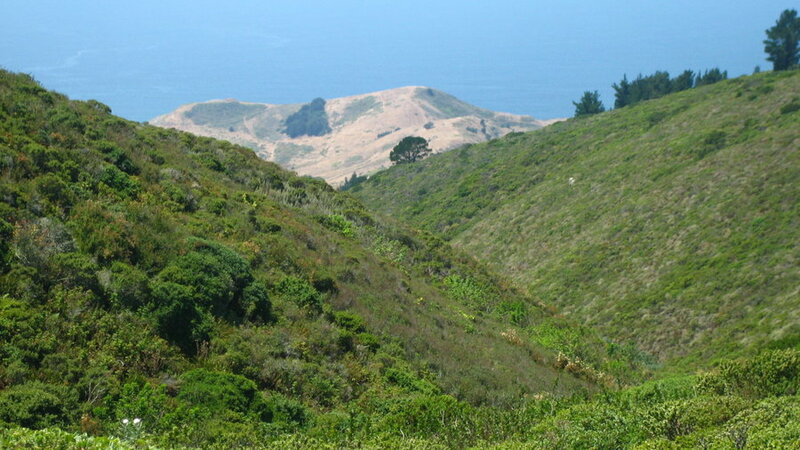 This steep scramble starts at the east end of Fassler Avenue in Pacifica and ends, 1.5 miles later, at the Sweeney Ridge Trail, close to where the latter meets Sneath Lane. 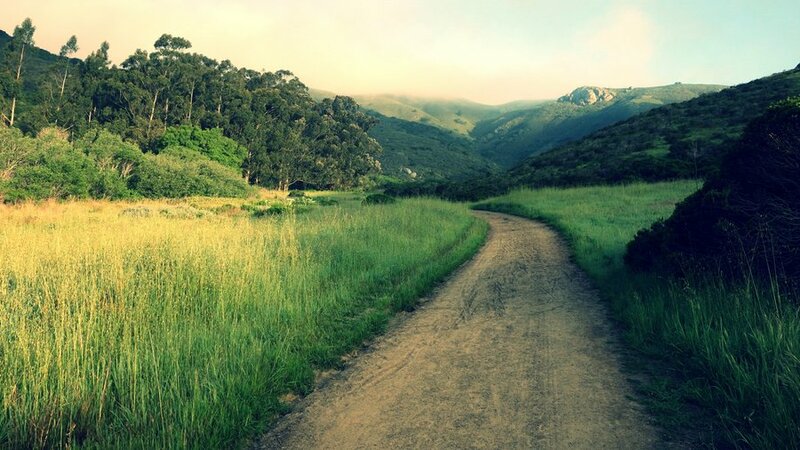 Access this 1.5-mile trail from Skyline College Parking Lot #2, in San Bruno.